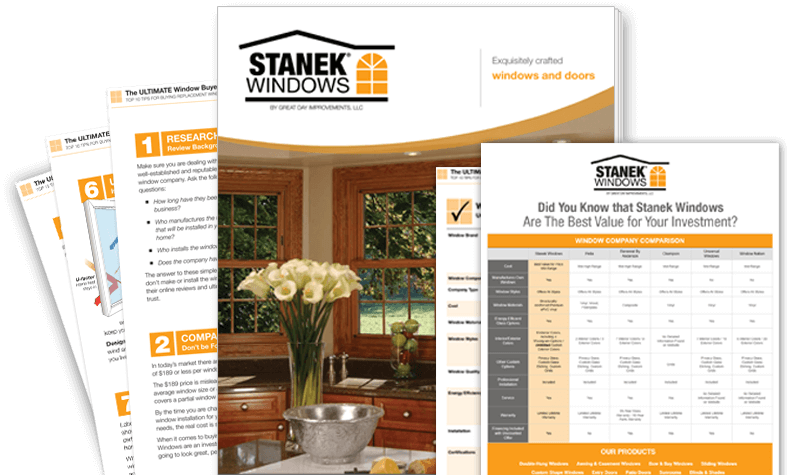 Stanek's bay window collection provides function and beauty. 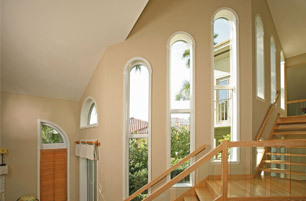 Bay windows offer more than just a view outside. 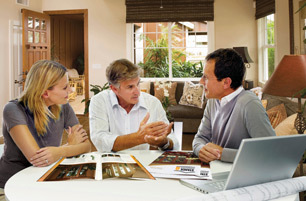 They can create an elegant focal point, a cozy reading nook in a favorite room of your home, or provide extra storage. 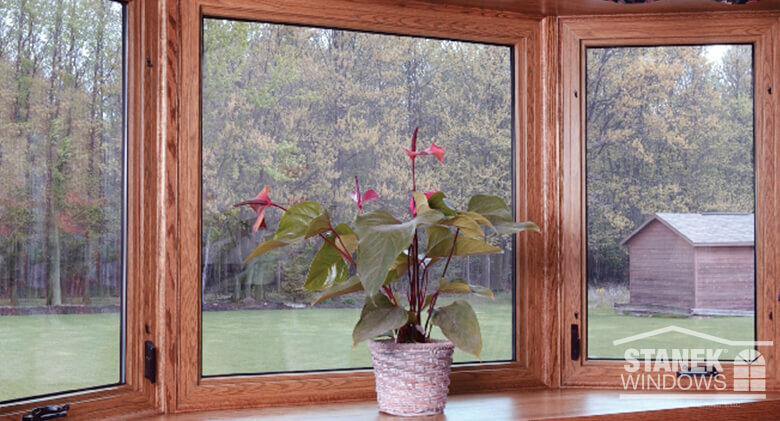 Select either a double-hung or casement window style, and create the perfect bay window for your space. 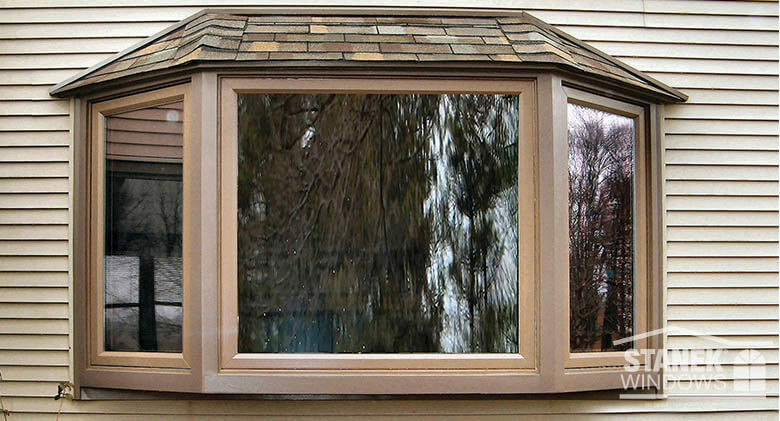 Bay Window Cocoa color bay window with casement end vents and a shingled hip roof. 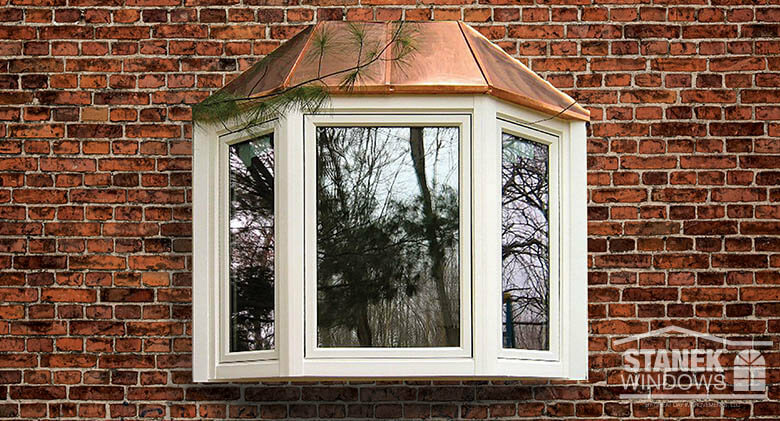 Bay Window White bay window with copper roof and casement end vents. 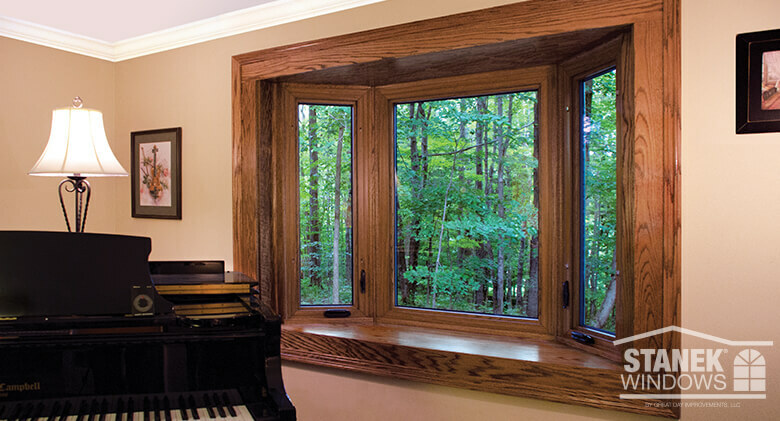 Bay Window Bay window with double-hung end vents, colonial grids, woodgrain interior finish and an oak veneer shell. 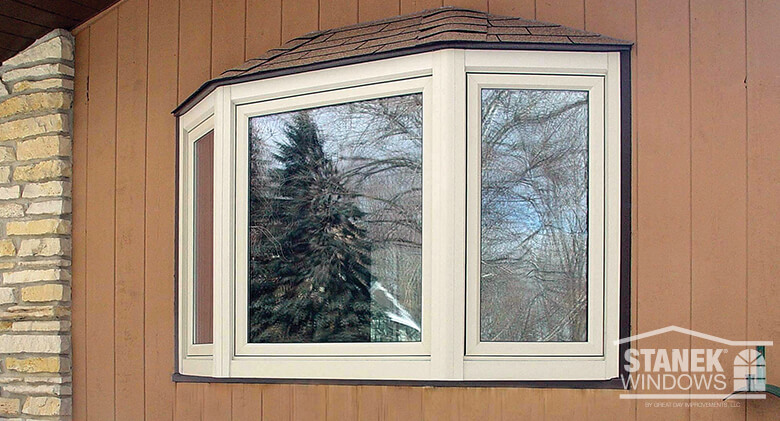 Bay Window White bay window with a shingled hip roof, single prairie custom groove glass etching and casement end vents. 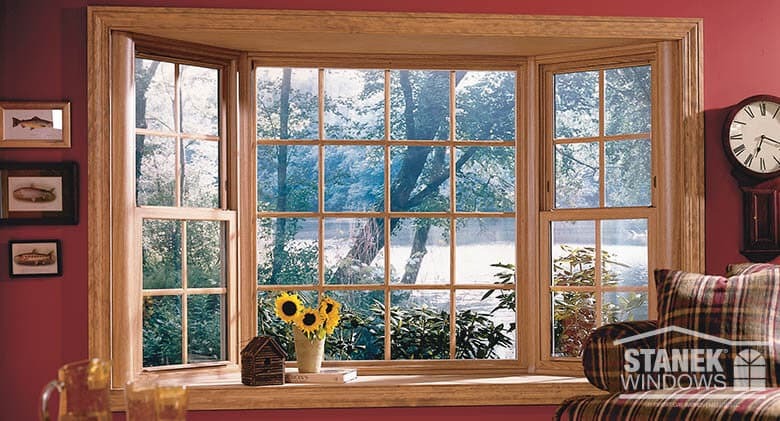 Bay Window Bay window with a medium oak woodgrain interior finish, tongue and groove shell, and casement end vents. 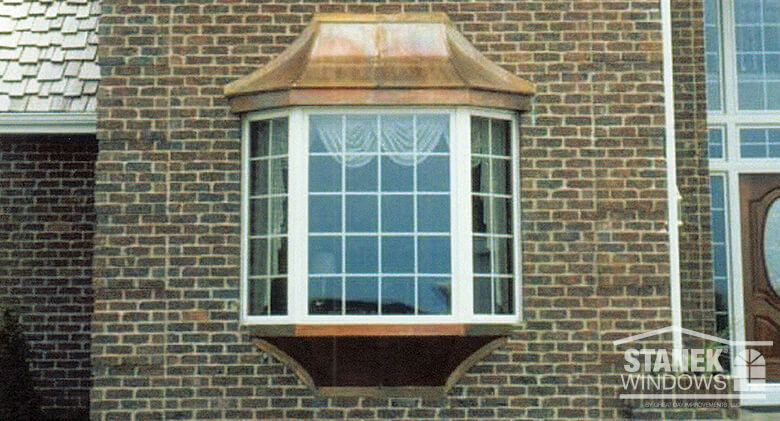 Bay Window Bay window with copper roof and colonial grids. 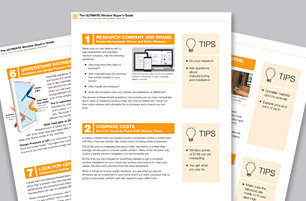 White exterior finish. 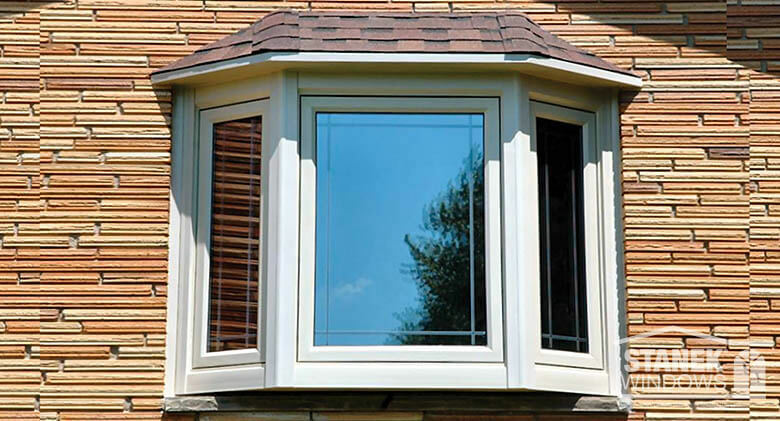 Bay Window White bay window with an overhang tie-in, colonial grids and casement end vents. 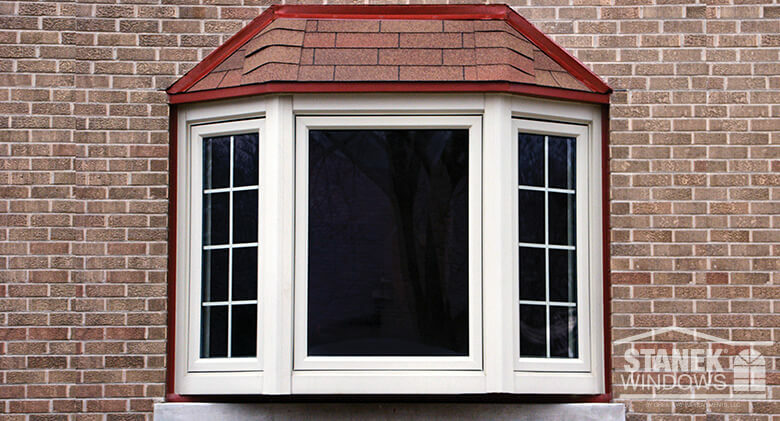 Bay Window Three-lite bay window with shingled hip roof in beige. 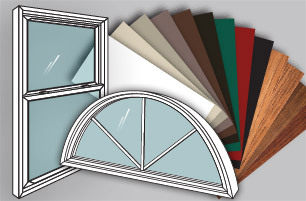 Bay Window Three-lite bay window with woodgrain interior finish, casement end vents. 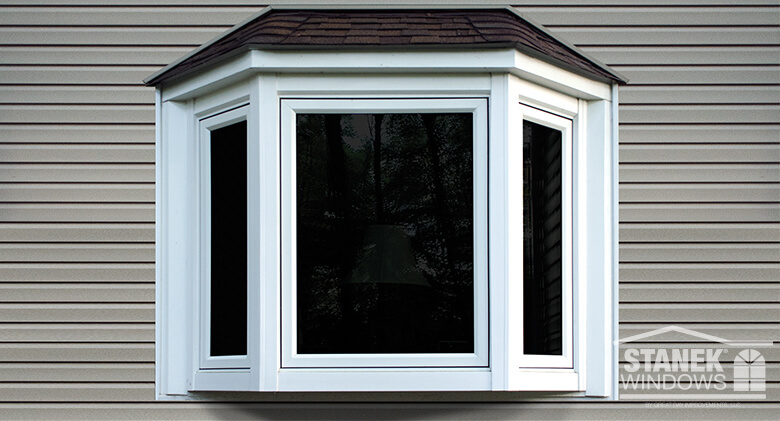 Bay Window White bay window with shingled hip roof, casement end vents. 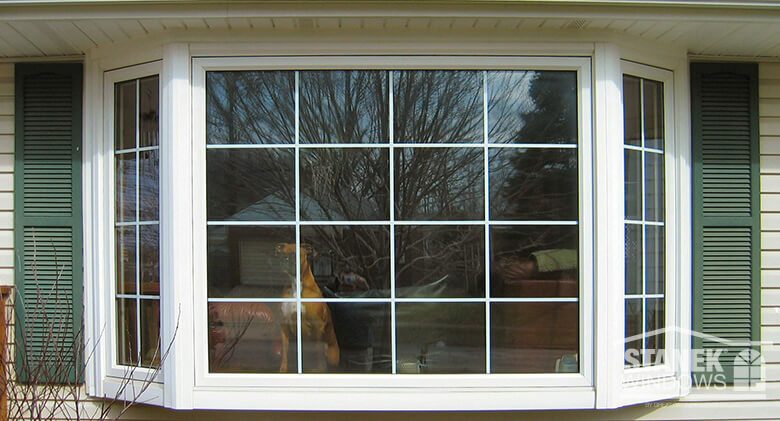 Bay Window Three-lite, beige bay window with shingled hip roof and casement end vents with colonial grids. 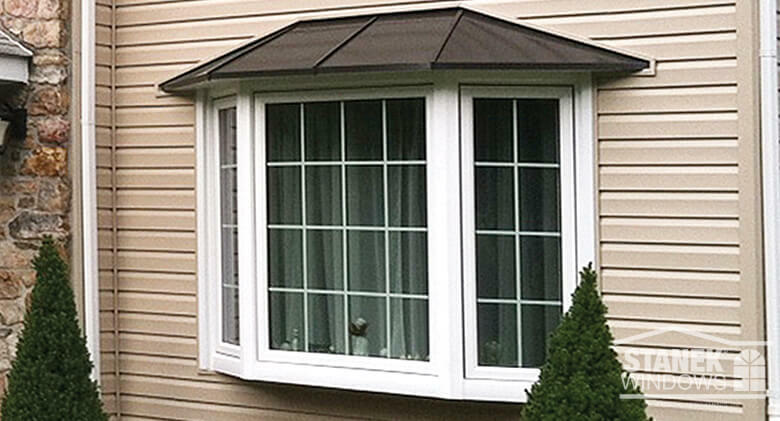 Bay Window White three-lite bay window with colonial grids and shingled hip roof. 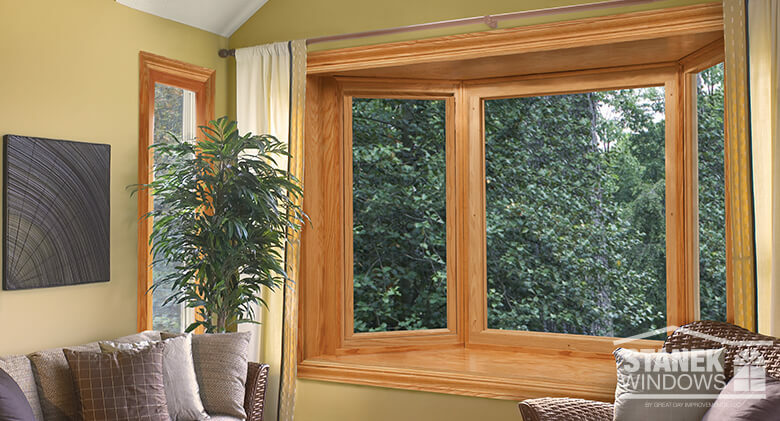 Bay Window Three-lite bay window with woodgrain interior finish.